It's almost perverse that it will only be in 2014 that Manc outfit Patterns unleash their debut album. I first wrote about the band almost three years ago, ahead of their In The City 2010 performance - a festival that sadly seems defunct now. 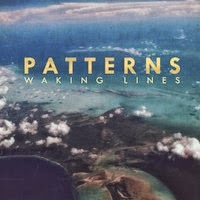 Our first glimpse of the forthcoming 'Waking Lines' is 'This Haze', somewhat reflective of mid-career Foals. Starting off in a cinematic fashion, a mathy guitar line soon appears, albeit engulfed by a suitably dreamy overall sound - befitting of the song's title. The electronic aspects of Patterns take something of a back seat on 'This Haze' but we suspect they might be back strongly at points on the new album, which lands on January 6th through Melodic Records - it even features 'Induction', the first track of Patterns that we heard all those years ago. Find more info at melodic.co.uk.